Hey everyone! Welcome back to “Mini Monday”. 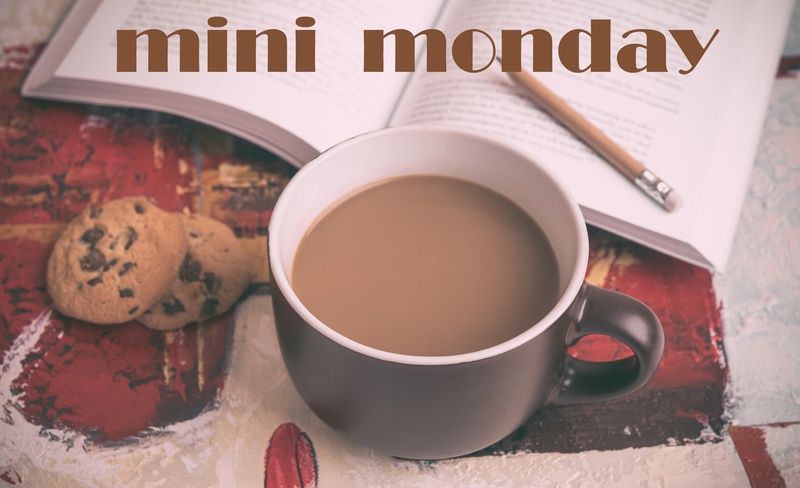 This week, I’ll be featuring mini reviews of 4 books, 3 of which are YA and 1 adult title. I was super excited about this title going into it. I think YA needs to look at the more difficult parts of being a teenager and school shootings have definitely become a serious concern for teens. I did enjoy this book overall but I was let down a little as well. I found I didn’t really connect with any of the characters. I did find myself concerned and anxious about what the outcome would be but it was more an overall sadness, for the school and the community, rather than the specific characters it was focused on. This book was still incredibly but I will warn, it’s not for the faint of heart. Okay so this book is incredibly interesting in theory; Plague has decimated the nation (continent?) and people are divided into one of 3 ‘groups’, Lasters, True Borns, and Splicers. Cool, right? Heck yes. I was, however, confused to varying degrees of intensity the whole way through. I still don’t even have a rudimentary understanding of True Borns. Maybe I’m not supposed to yet but being out of the loop for an entire book (and I’m assuming part of the next one) is a bit disappointing. I like knowing things or at least kind of knowing things. I do love Storm and his crew as well as the sisters. I’ll be continuing with this one eventually but it’s not like OOOO I’m dying to have it now. When the publicist from Simon & Schuster pitched this to me, I was pretty sure I’d like it. Little did I know that I would adore it. Having read mostly YA lately, this story was a refreshing change. The romance was adorable and slightly awkward and everything I didn’t know I wanted to read. I like that they didn’t both have these romantic, perfect back stories. In fact, their lives had parts that were, beyond a shadow of a doubt, incredibly hard. Their ending isn’t fairy-tale perfect by any means either but I really liked it. It’s a pretty short book so it’s a quick read once you get into it and the characters really tug at your heartstrings! I think this would definitely make an awesome long-weekend, cottage day read (just remember your sunscreen or read in the shade). This book. Where do I start? I loved it, then hated it, loved it again, and then hated it again. I found it took me a while to get into this one (I think that was a mood-reader thing) and once I did it was smooth sailing for quite a while. I hit a point where I found there were too many smoke and mirrors, too much to try to keep up with. I felt confused and disengaged. Then, of all things, Wednesday, the little kitten that is found and saved, rekindled my interest. It picked up again, things started happening…and then TOO many things started happening. There were so many layers to the mystery and solving it all that it felt a little like overkill. There was also a section that felt significantly more gory than the entirety of the story previously. Sadly, I read this after eating a huge meal out and the gore plus that much food made me feel seriously sick. (A+ timing and decision making on my part there..yikes) This was another book that I enjoyed overall; the ending didn’t do it for me at all but I like the mystery and the intensity of things throughout most of it. I will say, I don’t usually read this genre; I’m a big scaredy-cat with books, movies, pictures, etc; and this was one of my first forays into it so I’m still a newbie! Have you read any of these titles? Are any of them on your TBR? Let me know or leave your recommendations!